The Promultis Interactive multitouch window is here! The ultimate interactive window solution! The award winning Promultis Interactive Window will allow you to stand out from your competitors like no other product! Allow passers-by to interact with your brand, browse stock, connect on social media, collect data and more! The Promultis Interactive Window can help maximise the ROI of your retail space, capture footfall and entice people to interact with your brand like never before! 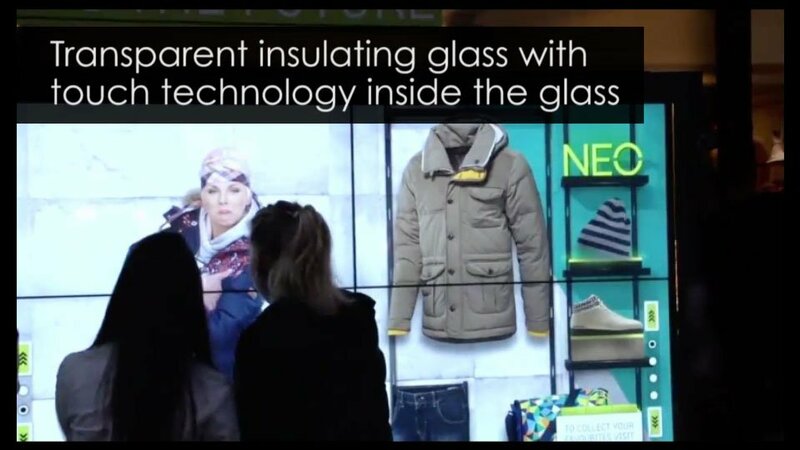 Unlike other interactive window solutions, the capacitive touch technology is built into the glass itself, the advantage of this solution is enhanced protection from the elements, safegaurding the technology from vandalism, and allows for general maintenance tasks such as cleaning to be carried out as if the product was just a normal window, dramaticly extending the products life expectancy over alternatives! Encourage people to shop using your interactive window after you have closed! Whether you decide to use a projecter or an industry leading Promultis 4K screen, customers will be able to interact with your content through your window, 24 hours a day, 7 days a week! Clothing stores could allow customers to browse stock and order for collection or delivery the next day, Restuarants could let customers see table availability for the week and take bookings, Bars and nightclubs could entertain queing customers, the possibilities are boundless! By utilising QR codes, or even contactless payments, an interactive window can bring a positive return on investment and become a real unique selling point for your brand and your location. Not only can the Promultis Interactive Window be utilised in a wide variety of retail sector situations, corporate clients can also benefit from the utilisiation of an interactive window. Maximise space and wow your stakeholders by using the glass areas of offices and meeting rooms for presentations and digital signage. Presentations can be given in a much more engaging, and most importantly, attention grabbing way, additionally, company wide messages can be displayed clearly and brightly, in multiple locations at the same time if required! TAILOR MADE FOR YOU AND YOUR REQUIREMENTS! 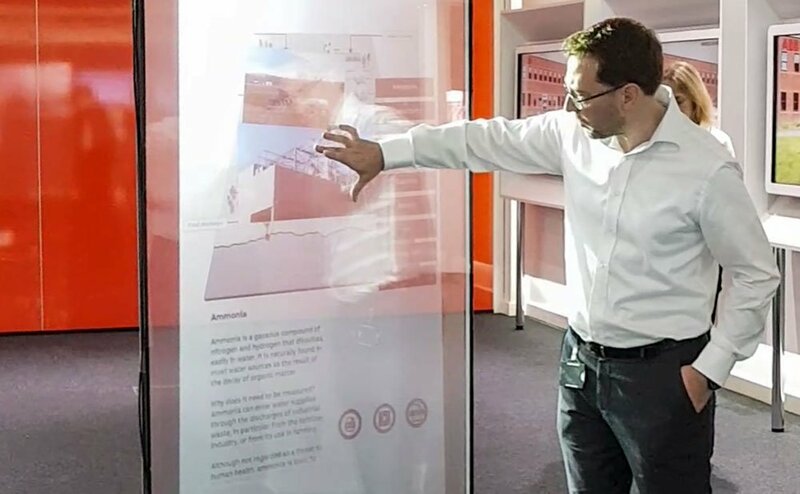 The Promultis Interactive Window is available in a wide variety of configurations, meaning we can configure your solution to suit any budget or project. Along with the hardware we can work with you to create a completely bespoke software solution, ensuring your content is on brand and you get the most out of this incredible product. Call us today for more information on the Promultis Interactive Window!